Description: Kispest Pipe Organ Samples (KO) is a 38-stop romantic virtual pipe organ chromatically sampled stop-by-stop. The Kispest Pipe Organ is the first ever virtual pipe organ to feature a unique realtime spatial adjustability in its Professional Edition, and Dynamic KeyboardMass™ control in all its Editions. The Hauptwerk 3 compatible sample set ships with multiple loops, multilple releases. The Personal Edition features a wide stereo, the Professional Edition contains an additional stereo, quad surround and adjustable surround version - 4 in 1 package. 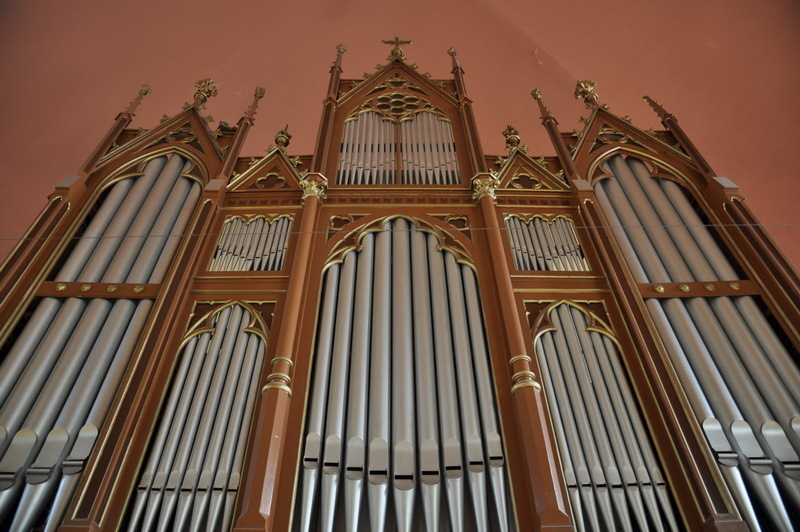 The 1927/2001 Rieger-Varga organ, located at the Notre Dame of Kispest is considered simply as one of the best sounding romantic instrument in the wider region. The virtual Kispest Pipe Organ financially supports the maintenance of the original instrument.